After my breakfast of Special K and Activia, but before my two-Luna Bar lunch, I sat down with a cup of Mother's Milk lactation tea and reached between my legs to make sure the balls I was born with were still there. Yep. Despite two weeks of eating food made for women, my body hadn't changed at all. When I began my exploration of gendered food items, I was hoping for a dramatic payoff. Perhaps a set of fuzzy breasts sprouting from my chest, or some semblance of emotional intelligence, or at least a clearer understanding of how cereal, salad, and trail mix can be feminine. Instead, I got a pile of cardboard packaging and confirmation of my thesis: marketing something as "for women" -- the pinks and purples, the low-calorie labels, the suggestions that life is just sooooo crazy and women need to take a break with a thumbnail-sized brownie -- is the dumbest gimmick in food marketing. 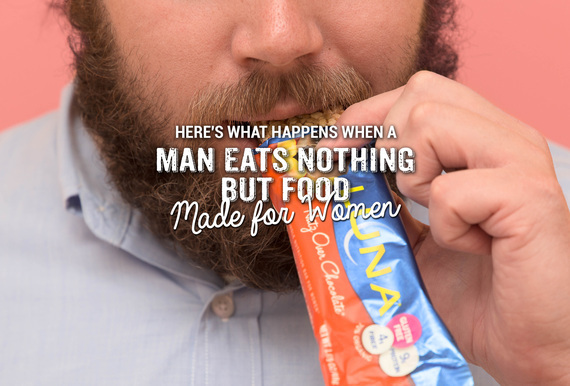 You're no doubt aware of Luna Bars, which have been around for 16 years and say right there on the wrapper that they're a "whole nutrition bar for women." A handful of other products, including Mother's Milk tea and an untold number of chalky bars, take a similarly explicit approach. They're typically fortified with extra calcium, vitamin D, or other nutrients ostensibly important to running a woman. But most of the food products that are "for women" stay away from mentioning nutrients. Like Activia and Special K, they're pitched with ads full of women, touted as a convenient way to "have it all," and always framed as a weapon in the never-ending fight against fat. Why is this strategy so dumb? Because at best, even when these food products are fortified, the nutrients are seldom present in "enough quantity to actually do anything," an expert said recently. And at worst, they minimize half the population by constantly calling them fat and turning them into a species that requires its own type of food. Numerous women have already done better takedowns of "food for women" than I could have (see here, here, and here). But could they run this stuff -- and nothing but this stuff -- through a man's digestive system for two straight weeks? Of course not. That's where I came in. I began my experiment -- which is what you call stunt journalism to make it sound more daring -- with a trip to my local Safeway. The chain seemed a good choice given its history with feminized food branding: a few years ago its dairy brand, Lucerne, began selling Monterey Jill, a female-friendly diet version of Monterey Jack. It was "Jack's lighter companion" and featured a sassy cartoon cow mascot with a flower in her hair (makes you wonder if the cow on Monterey Jack is actually a dude). The Monterey Jill cheese was roundly mocked, so I wasn't surprised to see that my Safeway didn't have it. (An email to Safeway HQ asking if it's still sold went unanswered.) It had Luna Bars, though, so I bought a dozen. Then I grabbed some Special K, a cereal that's long been marketed as diet food for women. Not because it's particularly healthy or anything, but because if you replace full meals with Special K you'll essentially starve, which is definitely one way to lose weight. Turning Special K into a diet food has been huge for Kellogg's. In the 10 years since the brand began issuing its "Special K Challenge," which dares women to survive for two weeks eating nothing but cereal for breakfast and lunch, its market share grew by 50%. There are now Special K shakes, frozen meals, and snack bars, each designed to satisfy cravings with diet-friendly mini portions. Along with the cereal, I grabbed some Divine Fudge brownies (they'll "keep you virtuous") and strawberry Pastry Crisps (for when you're "trying to be good"). I spent the next seven days starting my morning with those bland, polystyrene Special K flakes. Instead of choking them down with "just a splash of ice-cold skim milk," as Kellogg's suggests, I poured them over Activia. Unlike the Special K box, which was printed with an image of a purse and its spilled contents (as if a woman taking the Special K Challenge has just passed out on the floor), the Activia packaging isn't explicitly gendered. But if you've ever seen its commercials, you know the target consumer is a woman who can't poop. Of course, there's nothing about probiotics, the bacteria that supposedly make Activia so special, that particularly helps women. Like Special K's tiny snack bars, though, Activia comes in relatively low-calorie portions. It's a diet food masquerading as yogurt Pepto. There's a reason why the woman on the Activia benefits web page is a middle-aged size 0 in yoga clothes. At least Luna Bars are positioned as healthy, not just low-calorie. And at least they're good. 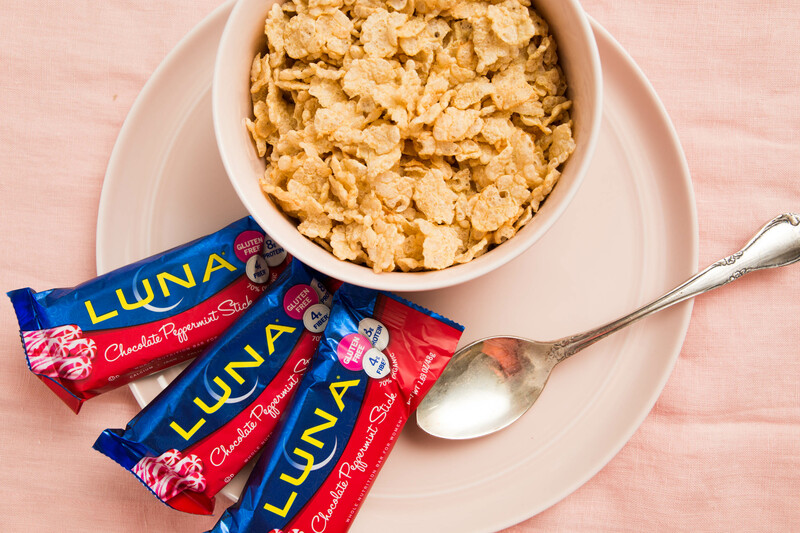 Each day I scarfed two Luna Bars for lunch. My flavors were Nutz Over Chocolate, White Chocolate Macadamia, and Chocolate Peppermint Stick -- not because those jumped out at me, but because they were on sale. I like to think of Luna Bars as candy bars you don't have to be ashamed to eat. If there's one problem with them, though, it's that they're not very filling, which is why I ate two. It's also why I ate an untold number of Special K fun-sizebrownies for afternoon snacks. And why I dumped Quaker Real Medleys granola straight into my mouth when dinner was still two hours away. What's that? Quaker Real Medleys granola doesn't sound like a product for women? Take it away, Andrew Sutherland, senior director of marketing, Quaker Foods & Snacks North America: "New Quaker Real Medleys are perfect for women who want to start their mornings with a wholesome and delicious oatmeal breakfast." As with breakfast and lunch, I stayed consistent at dinner. For seven nights I sat down to a steaming Lean Cuisine. Thai-Style Noodles with Chicken, Butternut Squash Ravioli, and Grilled Chicken Primavera. I settled on those because they're part of the brand's Spa Collection, which my wife assured me was an attempt to draw women in by evoking cucumber eye masks and orange-rind water. I quickly learned that food "for women" just isn't enough food. It's designed to starve you. They were completely and unremarkably fine. The kind of food that you eat and then immediately forgot you ate, both because the flavors are so anodyne and because you're still hungry afterward. That's why it was necessary to chase my Lean Cuisine with a bag of Bethenny Frankel's Skinnygirl popcorn, which I'm convinced is only "skinny" because the bag is the size of a baby's head, not a whole baby, like most popcorn bags. After a week of eating like this, I learned a few things about food "for women." First of all, it's sweet. The breakfast, the snacks, the ostensibly healthy bars -- all loaded with sugar or some form of sugar substitute. This, the packaging taught me, is because women are always thinking about dessert. They always want something decadent -- but they mustn't! That would make them fat. These snacks are attempts to approximate dessert without the calories. But they're bad approximations. Dessert isn't just about tasting the brownie; it's about becoming comatose on the brownie. Eighty calories won't get you there. The other clear lesson was that food "for women" just isn't enough food. Not unless you eat double the portion at each sitting. Maybe that's because I'm a man and I need additional calories. But more likely it's because this stuff is designed to starve you. 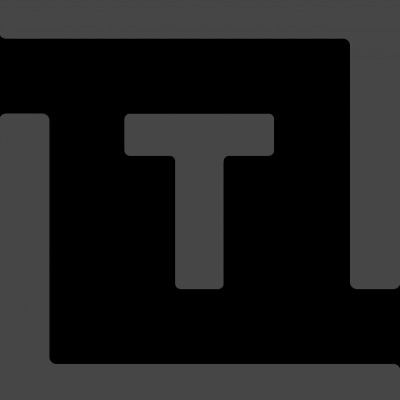 To find out how Week 2 went, including "The Aftermath", head over to Thrillist.com!